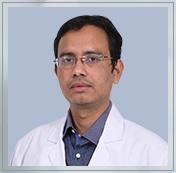 Dr. Tarun is currently associated with Regency Hospital as a Consultant in PICU. He has done his fellowship from Coithram Hospital – Indore and has a five years of experience in Pediatric Critical Care. F.N.B | (Pediatric Intensive Care) – Manipal Hospital – Bangalore. M.D – M.L.B Medical College – Jhansi. M.B.B.S – GSVM Medical College – Kanpur.